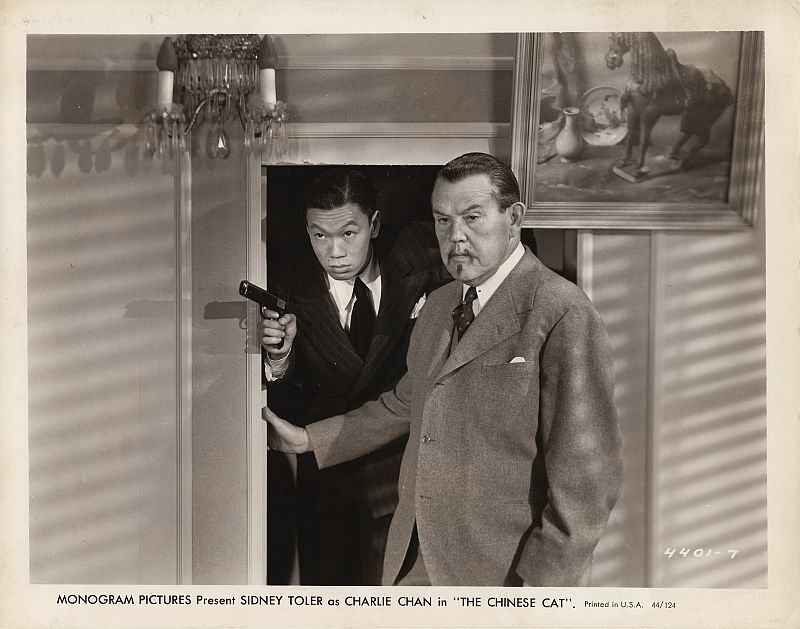 Charlie Chan and Number Three Son Tommy, exit a hidden passage in the Manning house. Tommy Chan verifies that Webster Deacon has "flown the coop." 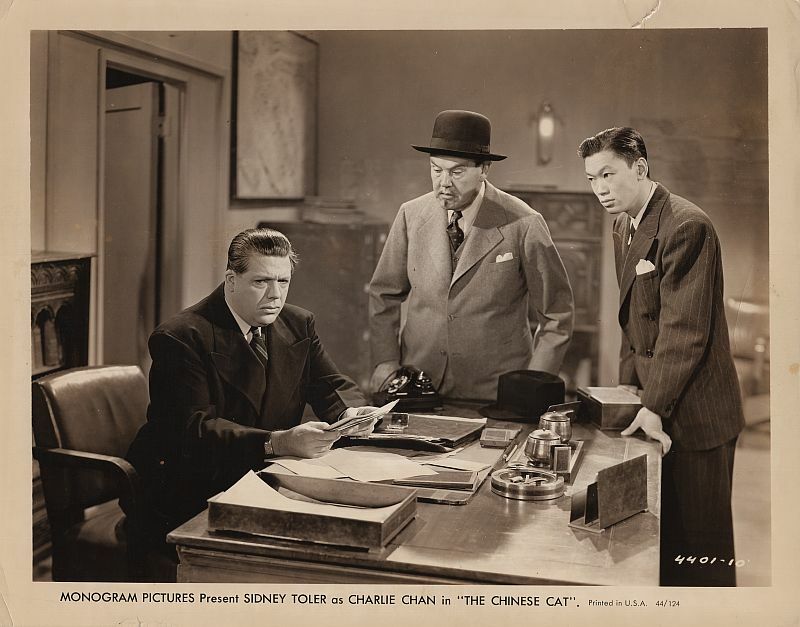 Charlie Chan and son, Tommy, question Webster Deacon in his office. 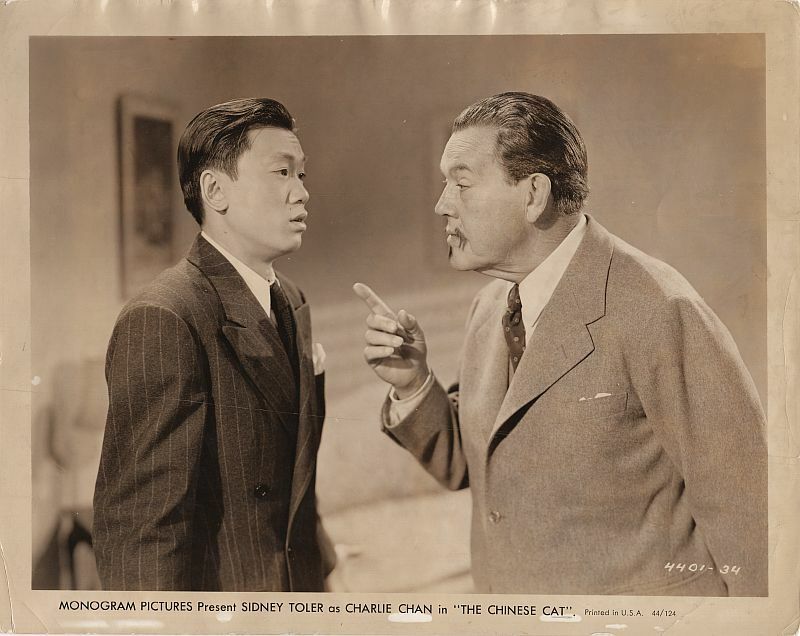 Tommy Chan: "But, you've always said that two men can find a clue quicker than one." 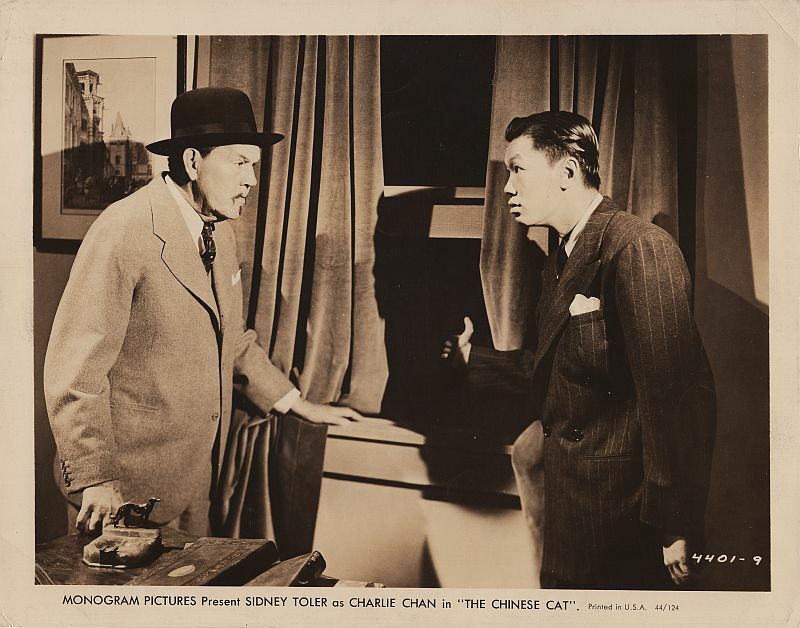 Charlie Chan: "Where is other man? Do not see other man." 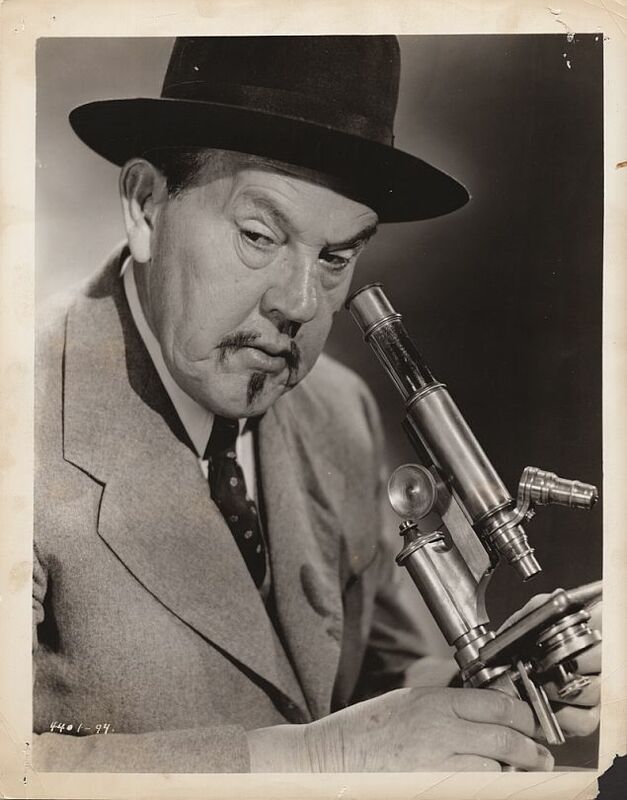 Charlie Chan at a microscope. 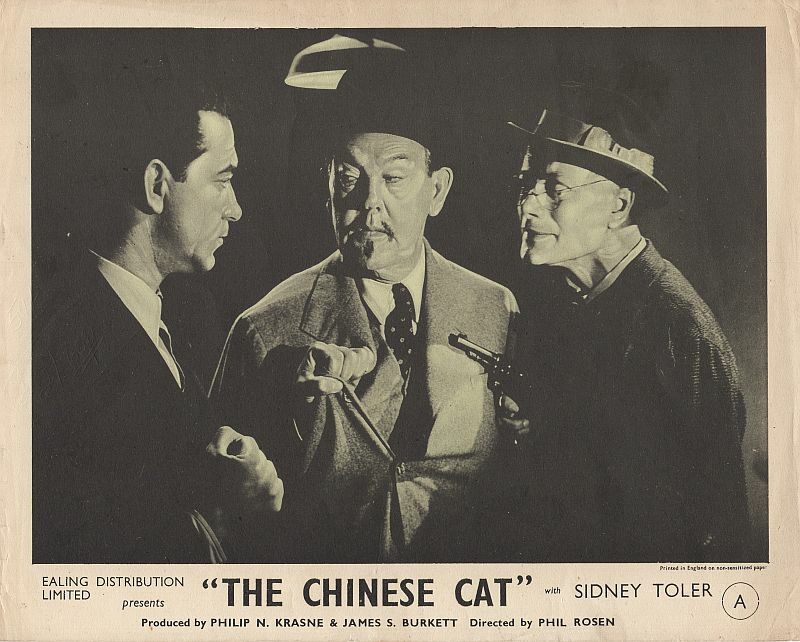 by gang head, Catlin, and his eccentric associate, Karl Karzos.